Torque to yield bolts-What are they ? Torque-to-yield bolts are exactly what they sound like. When tightened they stretch to the point of yield. 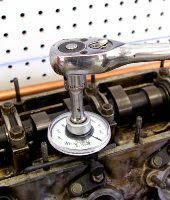 When a shop manual indicates that a bolt is to be discarded and new ones used, they are almost always torque to yield bolts. Buying new bolts may seem expensive. After all, the old bolts still look good, but looks can be deceiving. 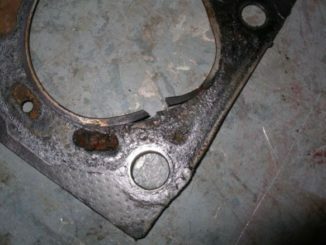 Reusing the old bolts can cause expensive engine failure. Hence only new bolts can provide the even clamping force needed on today’s engines. Why do we need these torque to yield bolts now? We didn’t need them in the 1960′s or 70′s! The simple answer is engine materials are different. Aluminum cylinder heads expand at a different rate than cast iron blocks. As an engine warms up, bolted together parts have to move against each other or slide on their gaskets. Therefore the elastic properties of the torque to yield bolts allow movement between parts yet maintain even clamping loads and sealing. Engine parts are also lighter than they were a few decades ago. Heavy cast iron parts could withstand some variations in torque without failures. Consequently thin wall castings and aluminum alloys used today require extremely accurate torque or warping and leaks occur. Uniformly tighten in sequence in several passes to ? Foot Lbs ? This procedure ensures that friction does not cause uneven bolt loading. 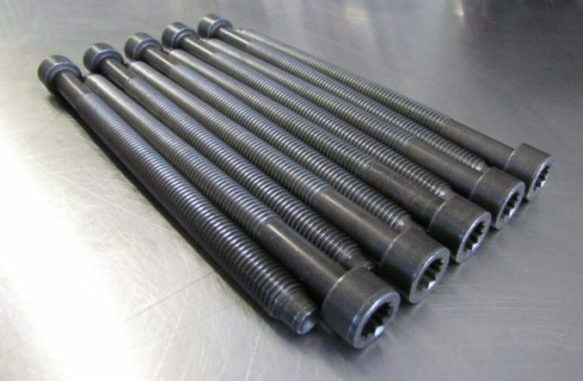 Bolts are elastic by nature, meaning that within their elastic range, they’ll stretch as load on the bolt increases. Typical bolts can be an issue when you use them on aluminum heads and with a gasket that doesn’t relax, like an MLS gasket. The expansion rate of aluminum heads will stretch typical bolts past their yield point and can snap them. Unfortunately, using a larger diameter bolt is not the answer, as the larger a bolt is, the less it will stretch. Remember bolt stretch is how we get maximum clamping load. Starting the bolt turning takes more force than keeping it turning. 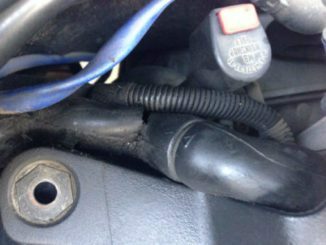 The tighter the bolt, the more stiction can affect torque readings. Lubrication helps the threads slide easier but one lubricant differs from another in their lubricating qualities. 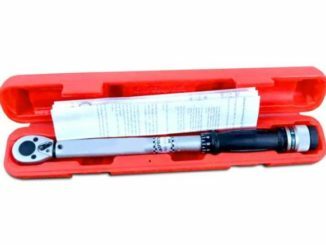 Manufacturers will specify what type of lubricant if any to use on a bolt when torquing it. Using the wrong lubricant will affect the clamping load. Before removing torque to yield bolts, allow the engine to fully cool. Removing the bolts while the engine is hot can cause cylinder head warpage.